If you live or work in East Grinstead and are looking to add some sparkle to your home or office then Furnished by Anna can help you make your design dreams a reality. 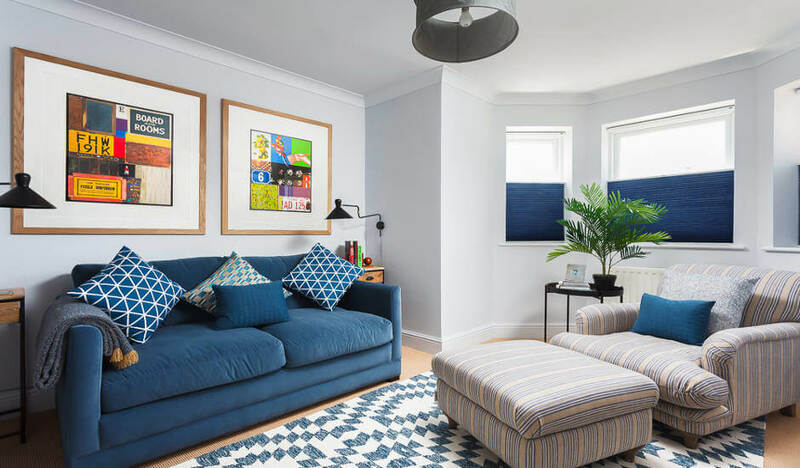 Offering a full interior design and consultancy service whether you’re based in East Grinstead or further afield in the surrounding areas, Furnished by Anna have the necessary know-how and experience to furnish and design whatever space you want created. Having taken on projects of all sizes in the past, we understand the concept of ‘making a house a home’ and work very hard to create perfect spaces that are unique to the individual. Whether you are a fan of a classically designed home, you are trying to steer yourself towards the future, or you want to reflect your quirky nature in your home design, we can help with professional advice and an expert opinion creating an affordable home or office makeover. Furnished by Anna was established in 2008 by professional interior designer Anna Ward who wanted to build on her personal passion of creating gorgeous interiors in order to help local people create their perfect homes. Offering a range of interior design services to all property types across the South East, Anna provides a full and complete service, from the consultation appointment to the preparation of the final finishing touches that help to create a unique atmosphere within your home. Choose Anna today for a professional interior design experience! We offer all our clients a completely personal one to one service, tailoring every aspect of the design process from start to finish exactly to your unique specifications. With clients in houses, flats, bungalows, period properties, modern developments and office blocks, no job is too big or too small or beyond our scope. You might be looking to give your East Grinstead home a makeover or polish up your office’s interior style and our comprehensive experience ensures you get top quality service to suit your taste and budget. We’ve spent years developing professional working relationships with some of the finest designers and furnishers around and can therefore call upon this network to help you locate exactly what you’re looking for, be it an antique wooden dresser or contemporary chrome wall socket. 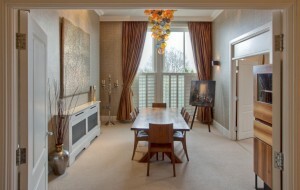 Furnished by Anna are proud to offer this home consultancy service to all our clients. Whether you are simply planning on sprucing up a room or two within your home, or you would like to completely re-design your whole interior, we work to budgets of all sizes, working together with you to ensure complete client satisfaction throughout the whole project. All in all we are proud to offer our bespoke interior design services in helping you to create your perfect home. Homeowners and businesses alike have given us glowing testimonials thanks to the attention to detail we give each individual project and that’s why Furnished by Anna are the first choice for interior design in East Grinstead and across Sussex, Kent and the south east. Plus with a huge range of fabrics, wallpapers, furnishings, fixings and more we offer a wide selection of companies to provide our clients with everything they need to create their own unique style. With connections to design companies both large and small, including better known companies such as Harlequin and Zoffany, whatever your personal preference we can help you to make your dream home a reality with our stunning interior designs. Click the image below to see a recent dual purpose guest room transformation. Our free consultation appointment ensures that you receive all the information you need to decide how to proceed with creating a beautiful home for you and your family. We will meet with you at a time that suits you and offer a professional opinion and expert assistance with regards to making the best use of the space available, any ideal furnishings and fixings as well as following a general plan with regards to the overall aim of the project. Allow us to help you create your perfect home. For those looking for professional interior design services in and around the East Grinstead area, please give us a call today and we can discuss your specific requirements. Please contact us to find out more or call Anna direct on 07968699441 to discuss your design ideas and request a free consultation.